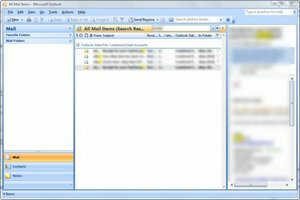 Microsoft Outlook 2007 returns no search results – RESOLVED! 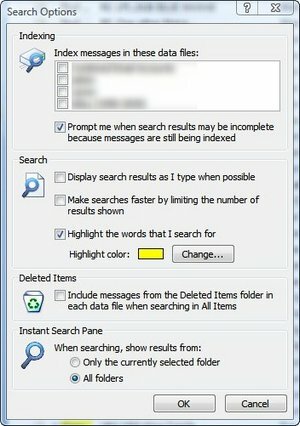 Microsoft Outlook 2007 has enough bells and whistles to keep the application usable, however, for some reason the search feature stopped returning results. After several days of struggling with this for resolution, I finally figured out how to return results. No, there is no need for any third party application. Utilities such as the defunct Lookout, which requires a tweak to the Outlook installation to load, however, still crashes the application; or Xobni, which I understand to have advertisements, the paid appliation Lookeen, or Chilbase which has restrictions. I had even read, that a repair proceedure to Microsoft Office should fix Outlook. 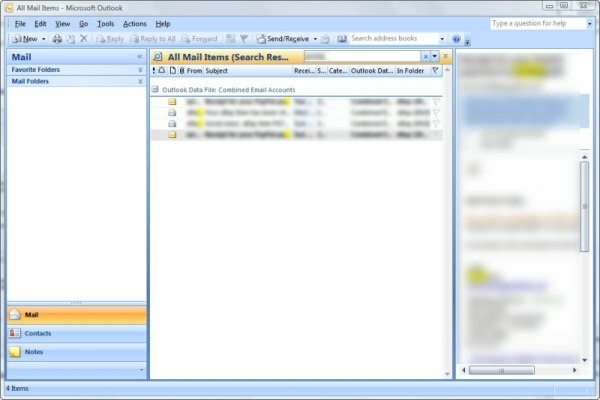 Even go to Control Panel to re-index Microsoft Outlook under the advanced button. None of those “tricks” or “solutions” worked. What did was too simple. The answer was buried in of the “solutions” provided above. The result should look something like the image above. Do a search, type something in the Search box. The results speak for themselves. Now there are search results. The key seems to be to not use the Windows indexing system to search Outlook, but allow Outlook to search itself without an index.